thankyou so much for your hard work at our wedding. 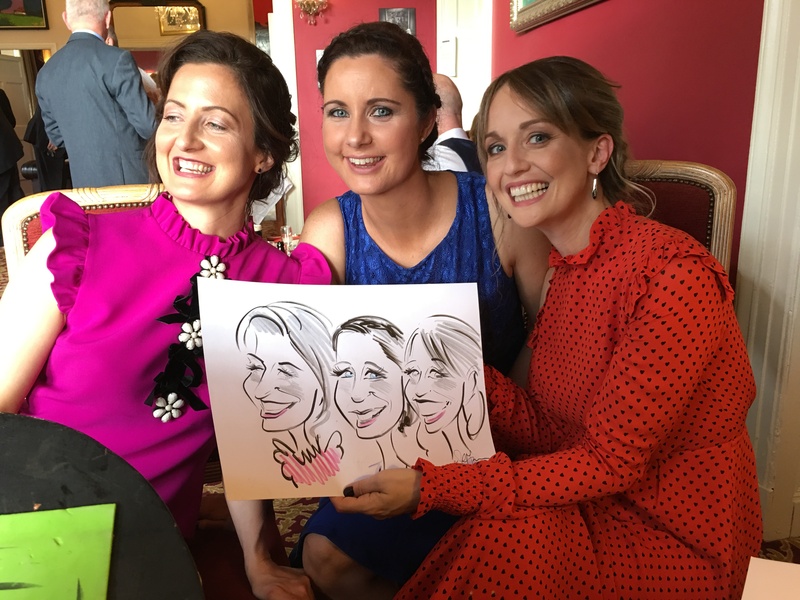 Everyone loved their caricatures and all have been laughing since! would highly recommend you to anyone for their wedding or party.....minus the white socks!!! Thankyou so much for the entertainment you provided at our wedding reception, it really added to the day and kept everyone entertained for those shall we say "boring" few hours before the meal! We would like to thank you for creating such wonderful caricatures at our recent wedding, We would like to express our appreciation to your hard work on the day, we know you were exhausted at the end. 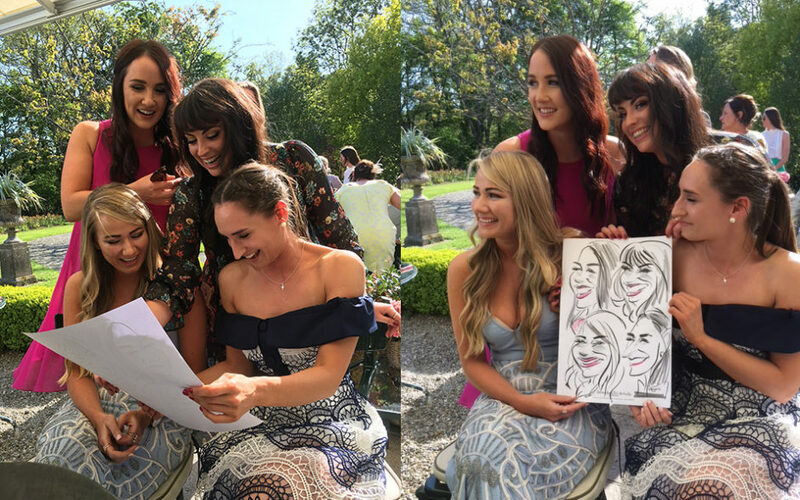 We have had so many comments of praise from guests who thought you were fantastic and really made the whole reception so different, everyone wanted to know where we got the idea. Thanks again to contributing to what was a perfect day." 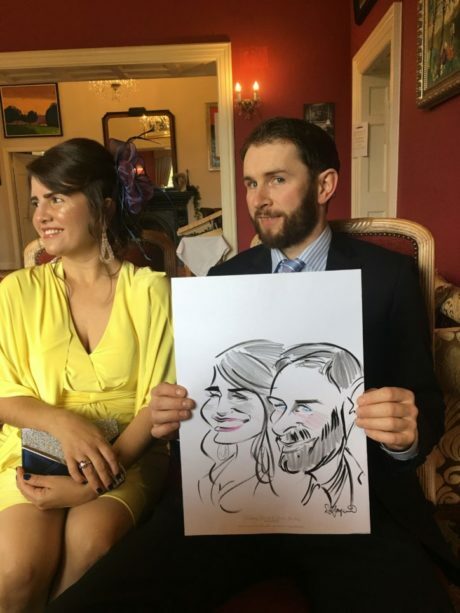 Thank you very much for the entertainment you provided at the wedding. Everyone loved their caricatures and the likeness was brillant. There seemed to be a queue waiting to have them done everytime I looked. The guests are still commenting on how funny and original it was so no doubt we'll see you again at another wedding. 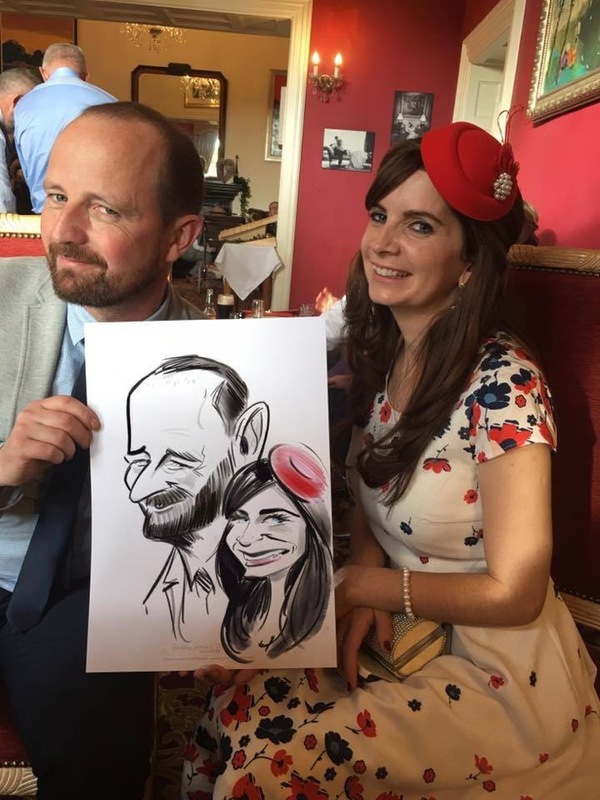 They create a fantastic talking point, and encourage interaction between guests as crowds gather to see the Caricatures being drawn. Special deals for mid-week and last minute bookings are now available. 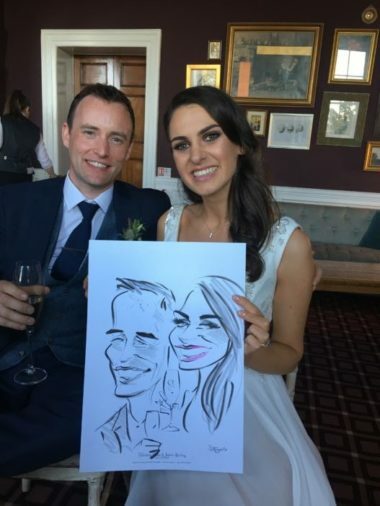 You only get married once, do not have your wedding without having Niall there, you were fantastic, thanks again for everything, it made the day really special.